After two years of disappointing sales, Macy's is looking to cut its losses in a deal with the owner of the likes of Lord & Taylor and Saks Fifth. Macy's shares shot up by 7.4% this morning following the announcement of the talks with Hudson's Bay. 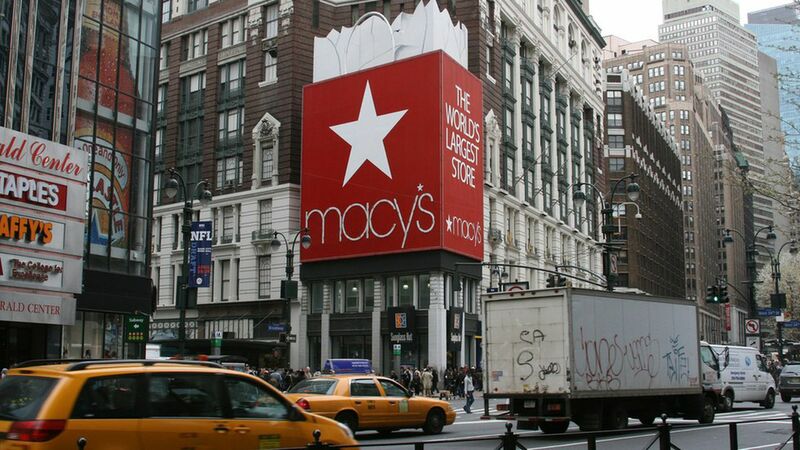 The deal may also involve Macy's real estate, according to the WSJ, although talks are in early stages. Tip of the iceberg: This is a classic case of the decline of department stores. Macy's and other department stores have been competing against fast-fashion chains like Zara and shopping culture shifting to the internet where comparing prices is more fluid. Macy's stock has fallen more than 50% from its highest point in 2015, which some experts say is due to many of its stores being stuck in malls that are experiencing declining foot traffic. This has riled up its activist investors, who have pressured the chain to sell its stores into an REIT. Tack this move onto the latest: J.P. Morgan ranked Nordstrom "underweight" on Friday, and the store just announced it won't stock Ivanka Trump's eponymous brand to cut losses. Oh and Dillards and J.C. Penney also are posting disappointing earnings, and department stores collectively have been reporting falling earnings since 2000, per a U.S. News report. The (potential) winner: Hudson's Bay. Its market value is much lower than Macy's — compare 1.4 billion USD (1.8 billion Canadian dollars) to Macy's 9.8 billion USD on Friday morning. It might be tricky for Hudson's Bay to finance the deal, given Macy's sizable debt, but it could raise equity and debt against its real estate portfolio, which could be worth $14 billion. It could also bring in a partner to help finance a deal. Keep in mind, Macy's real estate is likely undervalued on the stock market according to Starboard Value LP.